The Group Quality system is audited and compliant with ISO 9001. The Quality system covers all aspects of product design, component selection, design verification, manufacturing, quality control and customer satisfaction. From the board of directors down, each employee takes pride in providing our customers with the highest level of quality in products and services. We also hold global certifications of ISO 13485, TL 9000, ISO 14001, OHSAS 18001 and IECQ QC 080000. 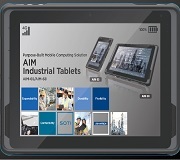 Advantech-Innocore’s products are designed and manufactured using high quality components, and the most up-to-date design and production methodologies. In contrast to mass produced commercial grade motherboards, we design for reliable operation as well as longevity rather than low cost. Careful attention is paid to signal termination, power supply design, EMC and signal integrity. Thermal management is also taken into account during the design and testing stages to ensure that product performance is optimized for varied environments including casinos, arcades, etc. where operation is 24 hours a day, 365 days a year. Understanding the environment and regulatory constraints of a gaming machine allows our design engineers to add features that solve problems before they arise: simple things such as mechanical attachment of heatsinks, providing positive latching on connectors, retaining clips for compact flash cards, design for easy assembly and field maintenance and so forth. Our products are manufactured using state-of-the-art production equipment and methods to ensure the highest yield rates and best reliability. 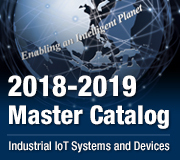 Techniques including BGA X-Ray inspection, automated test routines and elevated temperature burn-in are employed to ensure the products our customers receive are 100% functional and robust for long term operation. 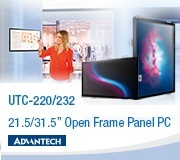 The huge in-house manufacturing capacity makes Advantech-Innocore unique, as do the "AdvantechCare Services" that are now offered with extended warranty, guaranteed RMA turnaround, onsite support and stock supply options. Furthermore, our infrastructure now spans the world, with offices on five continents served by over 4,500 people on the staff, 900 of which are dedicated R&D engineers. 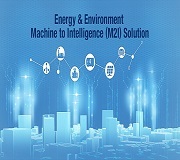 As a focused business unit of Advantech Group, we have retained the dedicated personal service of Advantech-Innocore and added a global manufacturing infrastructure and supply chain. 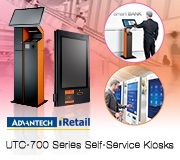 With a global footprint covering all the major regions, Advantech-Innocore’s organization is unique in its ability to put technical support, configuration and repair services close to its customers. Furthermore, our focus on the gaming industry means that not only are our products tailored to exactly suit the needs of gaming, but our service and support are as well. Knowledgeable support means our customers can feel confident that we will support them whether it is a problem in software development, security, or with a regulatory compliance submission.